Volkswagen Passat Review 2019 | What Car? It’s easy to break the executive car market down into two halves: mainstream models from the likes of Skoda and Vauxhall on the one hand, offering a quality feel at a temptingly low price, and more expensive premium models including those made by Audi, BMW and Mercedes-Benz on the other. The Volkswagen Passat, however, has managed to carve out its own niche in between. With its classily appointed interior, focus on comfort over handling and prodigious space inside, it’s a tempting choice that seems to blend the best of both worlds for those wanting to cut a dash above the regular family saloons on the market. There’s the choice of petrol or diesel power, manual or automatic gearboxes and a range of trim levels, so there are plenty of power and spec combinations to suit most buyers and needs. But are its rivals – on either the mainstream or premium ends of the spectrum – better all-round packages? 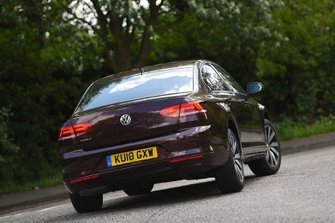 Read on to find out in our full Passat review, where we will seek to inform on everything from handling impressions to driving position to illustrate how it compares with rivals. 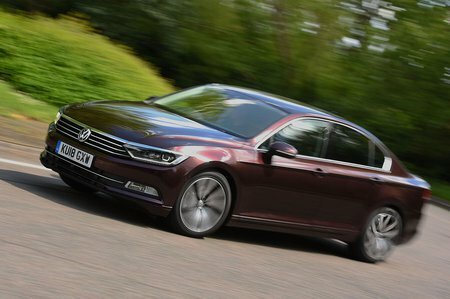 If you finish the next few pages and think you’ll still need more from your Passat, there’s also the Volkswagen Passat Estate, hybrid Passat Estate GTE and the four-wheel-drive Passat Alltrack to help appeal for every need, both personal and business use. Once you've made up your mind on which new car to buy, head over to our New Car Buying page, where you could save thousands on the price with no awkward haggling.